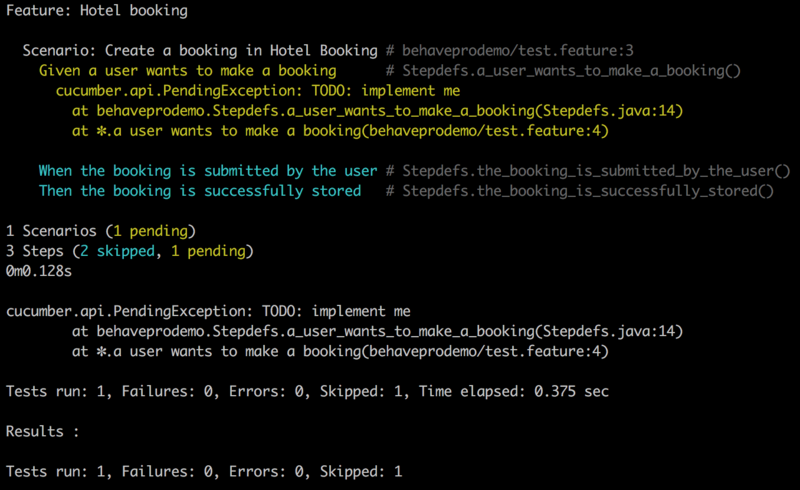 Once built, you should have a maven project named behaveprodemo that you can navigate into. Our next step is to populate our framework with feature files we have created in Behave Pro. We can do this by integrating Behave Pro with a GitHub repository that contains your framework code. 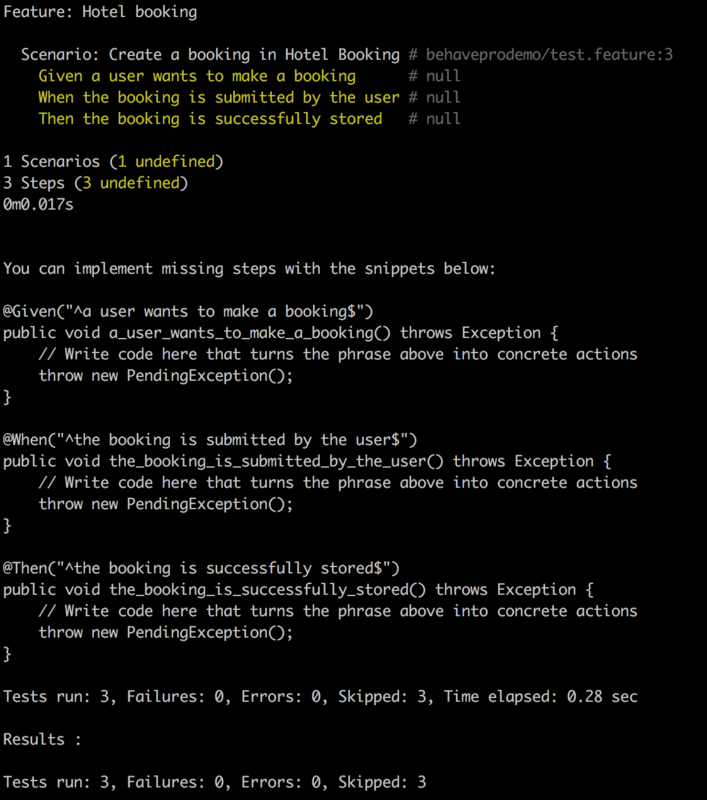 Meaning every time a feature file is created or updated, your framework is updated, giving us greater control of maintaining our automated acceptance tests. git commit -m "Adding in Behave Pro demo"
Once everything has been setup go back to your locally cloned repository and run git pull origin to pull down the feature files that Behave Pro is now storing in your GitHub repository. Now that we are setup we can start creating our automated acceptance test that will attempt to interact with our feature and fail because the feature doesn't exist. First of all we need to create step definitions that will trigger our automation code. Step definitions match to the natural language steps that are defined in a Gherkin scenario. So as a scenario is run it will find the matching step definition to the step it's running and execute the code within it. Notice how the annotated Given, When and Thens at the top of the declared methods match the Gherkin scenario. This is what we mean by matching step definitions to the natural language steps. Notice how the output has now changed. This is because the step definitions we pasted in are now being triggered during the run and the first step is returning a pending exception. The run fails because it cannot find the feature we want to the test to operate. 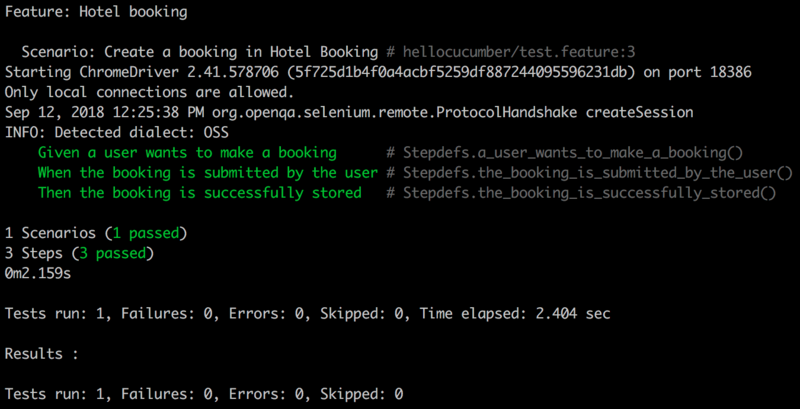 Meaning that we are ready to build our production code to make the test pass. Congratulations, we now have a passing test! 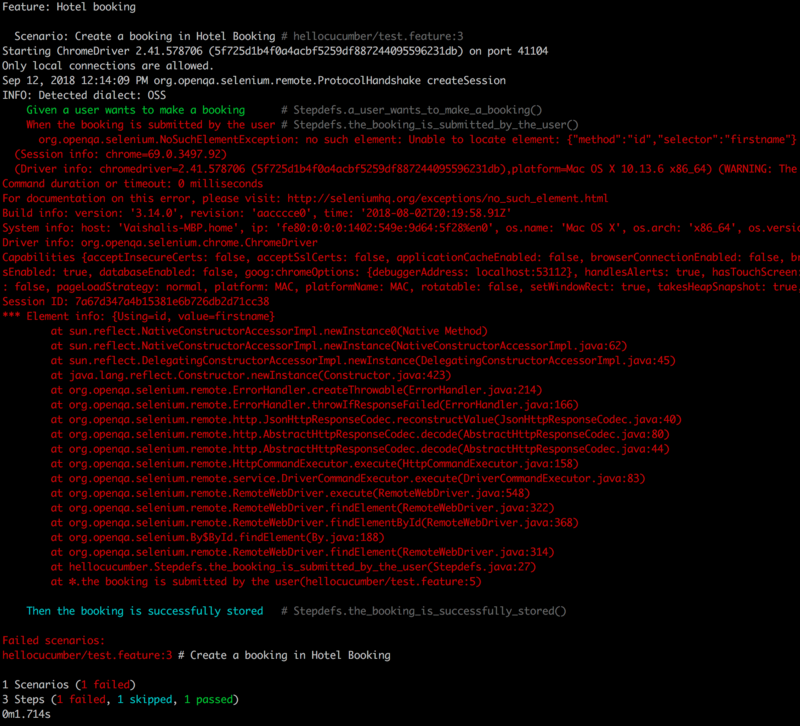 In addition to this, we now have the capacity to refactor our production code in confidence. As we refactor we can run the green acceptance test and if it fails we can tell that our refactor is causing our feature to drift away from the expected behaviour defined in the scenario. 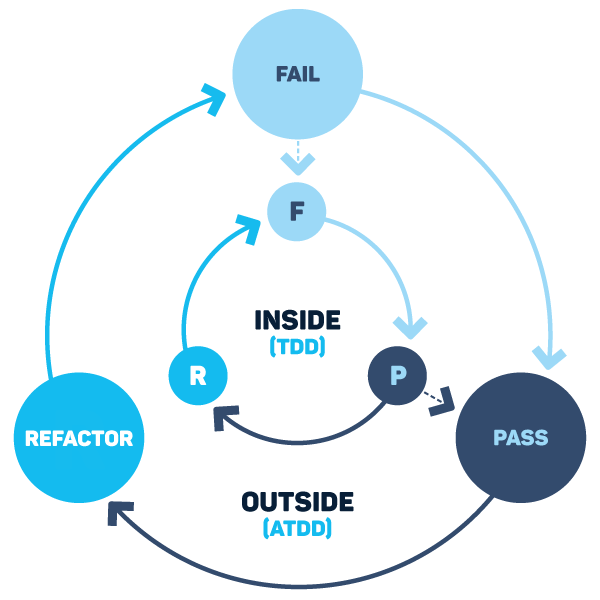 The example that you have just gone through is following a pattern within BDD that is known as Outside in Development. By creating a failing automated acceptance test a developer can comfortably create production code that makes the automated acceptance test pass. This guides the developer towards delivering the right thing for the business as well telling them that they are done. Finally, with passing tests in place, developers are free to refactor their code knowing if their refactor accidentally breaks something. In this example we've given you a taste of what you can do with the Outside in Development approach and Behave Pro and there is a lot more to learn about the approach.